Asbestos was widely used in the construction industry. This was mainly because of its insulating properties. However, this stopped in 1977 when its use was banned by the Environment Protection Agency. This was after various studies showed a connection between asbestos dust and the development of various cancers. The material is no longer used in the construction industry. However, most houses built before the 1900s still contain the harmful material to this day. If you live in a house built before the 1900’s, you should have it thoroughly inspected for asbestos. Popcorn ceilings were commonly made from asbestos. These ceilings are likely to release asbestos fibers if disturbed. This is likely to occur if you attempt to physically remove the ceilings. This means that the room in which the ceilings are should be prepared for the removal process. 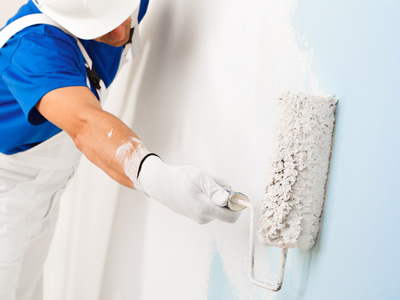 Before you begin preparing the room, it is important to be sure that the popcorn ceiling actually contains asbestos. A simple test can be used to determine this. Wet a small area on the ceiling board. Wait for about 15 minutes to allow the water to soak through the ceiling board. Scrape the soaked area. Soaking prevents the release of dust into the air. It also helps to soften the ceiling. If the area does not come off lose easily, it has most likely been painted over. You may have to wet the area again to retrieve a piece of the ceiling. You can use the piece you have acquired to test for asbestos. Be sure to wear protective gear when carrying out the test. Disturbing the ceiling even slightly can result in the release of asbestos fiber into the air. You can avoid inhaling the fiber by wearing appropriate personal protective gear. Waterproofs Any Deck, Terrrace, Roof Balcony Etc. 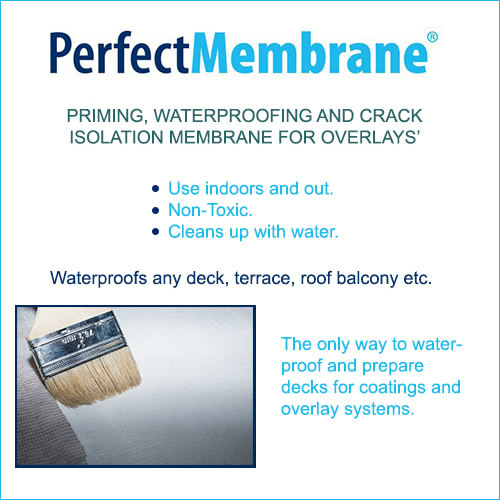 The only way to waterproof and prepare decks for coatings and overlay systems.